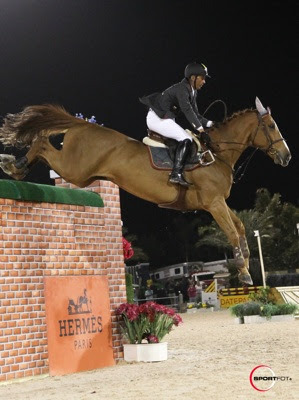 Wellington, FL - March 5, 2011 - The $35,000 Hermès Puissance was the highlight event on Saturday night, and it was an exciting show of power and scope. Pablo Barrios (VEN) was the winner after he cleared the 7'3" puissance wall with G&C Quivola, owned by Gustavo Mirabal. The FTI WEF's eighth week of competition, sponsored by G&C Farm, concludes on Sunday, March 6. The Suncast 1.50m Championship Jumper Series Classic will be held on Sunday followed by the $150,000 Wellington Equestrian Realty Grand Prix, CSIO 4* at 1 p.m. The 2011 WEF will continue through April 3 and award more than $6 million in prize money. Three riders knocked the blocks off the top of the wall, which was set at 6'6" (1.95m), in the second jump-off. Shane Sweetnam (IRL) and Traffic Boy, owned by Spy Coast Farm LLC, Aaron Vale (USA) and KAP LLC's Charmer, and Benjamin Meredith (AUS) with Raylyn Farms Inc's Charme Z all tied for fourth place. Barrios returned for a third jump-off along with fellow Venezuelan, Gustavo Arroyo, who rode G&C Tropigold for G&C Farm. The wall was raised to seven feet (2.15m), and Barrios went first with G&C Quivola. They cantered slowly down to the wall and the big chestnut powered off the ground to clear the jump. Arroyo and G&C Tropigold followed suit, and the class went a fourth and final jump-off. 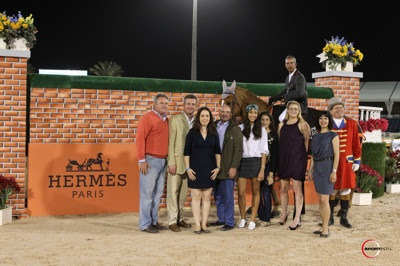 Course designer Steve Stephens and his crew raised the puissance wall to an impressive 7'3" (2.21m). As Barrios cantered by, only his head was visible on the other side of the wall. Once again, they showed the crowd how a puissance is done when they cleared it. Arroyo and G&C Tropigold gave it a great effort and cleared with the front end, but the horse's hind end just caught the top of the wall. The blocks fell and they finished in second place. Seven feet, three inches is a long way up! Barrios is becoming known for his skill at riding in the puissance classes; last year he won three of them. He and G&C Sinatra were victorious in the puissance at the FTI WEF held at The Stadium, and they tied for the win at the Dublin Horse Show. Riding G&C Blanchee Z, Barrios won at the Washington International Horse Show. Although Barrios would normally choose G&C Sinatra for the puissance, he felt that G&C Quivola would be able to perform well in this class. "Sinatra has been doing so well in the grand prix that I didn't want to use him. I'm going to use him in the grand prix next week. Quivola is a very scopey horse that is going to be seven which is quite the young horse, but you can feel the scope when you ride him. He's Gustavo's horse, but Gustavo (Mirabal) hurt his knee and that is why I got the opportunity to ride him," Barrios explained. "He began to jump better and better every round. I didn't expect to win because I didn't know exactly how the horse would react to a big wall like that and at night. His worst jump was the first round. After that he just continued to improve." Barrios feels that a special class like the puissance is a great addition to the horse show. "It's nice to win two years in a row. I love Puissance. You see that the crowd gets excited. It's a class for them. They should do it every year. 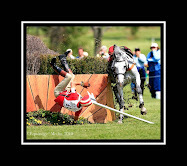 If I have a horse that can do this type of class, I will always put them in. It's good for the crowd. It's good for the sport," he said. Earlier in the evening, the PRO DerbyCross made its debut at the FTI WEF. 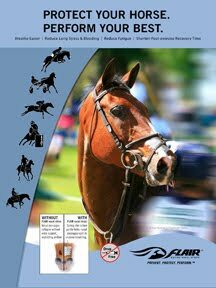 PRO DerbyCross is a hybridized form of interactive entertainment and sporting competition designed to showcase some of the best equestrian talent in the United States and Canada. The competition featured five teams of five riders - three eventers, a show jumper, and a polo player - who compete individually over a course designed by Olympic gold medalist David O'Connor. The course asks horses and riders to be brave over cross-country fences and accurate over show jumps all while competing against the clock. The FarmVet/Cavalor team brought home the win with very speedy rounds from their five riders. The team consisted of Captain Buck Davidson, Will Faudree, Bruce Davidson, show jumper Aaron Vale, and polo player Kris Kampsen. Vale said, "It was a lot of fun. It's great to get out there and gallop around. It was nice to see all the groups come together and have a good time under the lights here." Photos © Sportfot, Official Sport Photographer of the FTI Winter Equestrian Festival, www.sportfot.com.